Waterproof permanent marker for writing on glass slides. 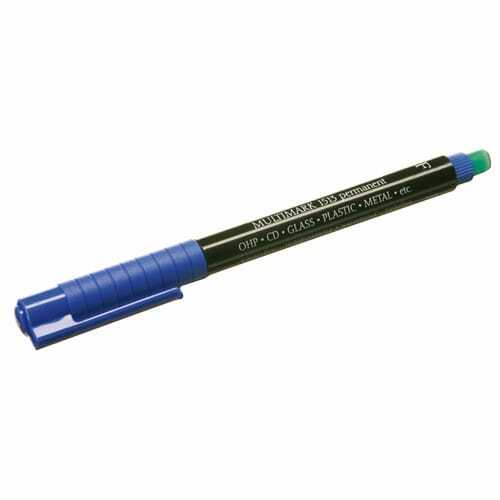 If necessary, the lightproof marker can be erased or removed with the enclosed eraser. Suitable for writing on glass, plastic, metal, OHPs, CDs etc.